PIK3CA is one of the most commonly mutated oncogenes in breast cancer, albeit at variable distribution among the different biological subtypes. Overall, it appears that PIK3CA mutations are most likely found in tumors with less aggressive characteristics, especially estrogen receptor (ER)-positive, luminal A tumors. Studies assessing its prognostic or predictive role have reported conflicting data, in part due to different methodologies used for detection and small sample sizes. The majority of reports used retrospective data from clinical trials thus could not exclude the effect of treatment heterogeneity when evaluating prognostic factors, and analysis was not subtype specific. 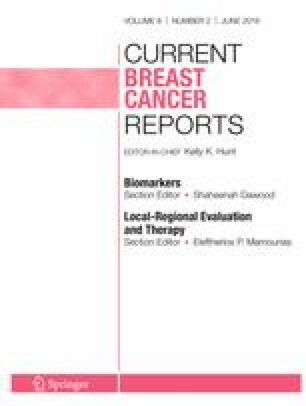 Since breast cancer subtypes differ in terms of biology, treatment, and outcomes, it is critical that the effects of PIK3CA mutations on pathophysiology and therapy responsiveness are analyzed independently in each subtype. This short review discusses these issues and the significance of PIK3CA mutations in relation to the expression of HER2 and hormone receptors. Sana Al-Sukhun, Isam Lataifeh, and Rajaa Al-Sukhun declare that they have no conflict of interest.